If you think you have seen Key West during the day, you need to catch a sunset. Champagne Celebration Sunset Cruise is a wonderful way to experience a sunset accompanied by a lot of luxurious amenities. Invite 14 of your closest friends and family of legal drinking age and set sail on the Atlantic waters that touch key west and get ready for a night you won't forget. The tour boat is a great size and takes off a little before sunset so guests can see the entire sunset and the different scenic phases that happen to the water. Your cruise can be customized to what you and your guests will want and that can include drinks and a buffet. First, you will need to decide which 14 guests you are going to invite on this wonderful sunset adventure. Then, you will have to decide what you would like to be in your buffet and what you would like your guests to drink. The tour price includes a classic sparkling wine, white and red wines, ice cold beer and a buffet of cheeses that complement the drinks. You can request additional finger foods or deserts at an additional price. Also along with the cheese, you will find berries and other fresh fruit to pair with your wine or bubbly. Lastly, the cruise will have a popular smoked fish dip that you can put on crispy chips or freshly baked bread. Missing this opportunity to share the beautiful Key West Sunset in a more private setting, means you have to change squeezing through the crowds to find the best spot to see it. 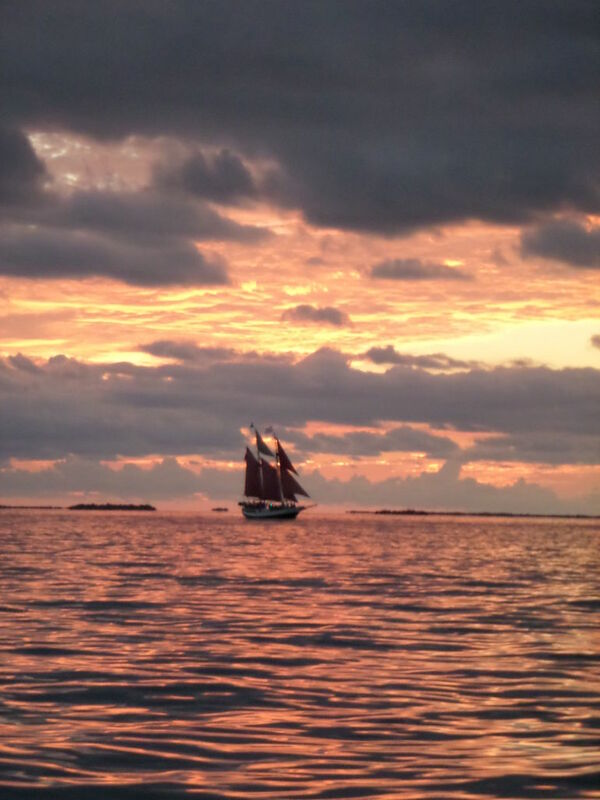 Don’t risk or waste your time in Key West and guarantee the best spot when the sun goes down. 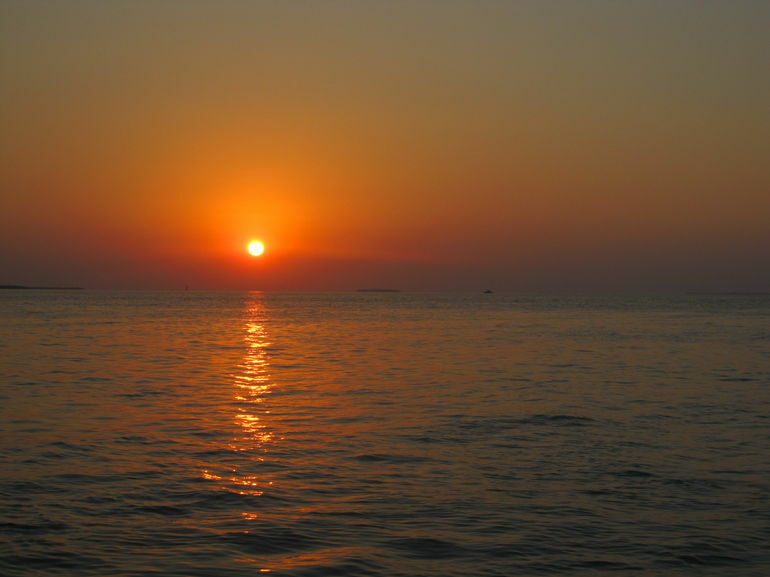 Get out on Key West's beautiful Atlantic waters to sip Mo?t & Chandon champagne while enjoying the sunset. Included in the tour price are Chandon Brut Classic sparkling wine, premium red and white still wines, ice-cold beer and a champagne-inspired gourmet cheese buffet. Two other Mo?t & Chandon champagnes are available for additional purchase. Key West is famous for its sunset, and there's no better way to watch it than on the Champagne Celebration Sunset Cruise. Key West's sunset is legendary, and every night, Mallory Square is full of huge crowds of people who vie for the best place to watch it. Escape this chaos and have the sunset all to yourself on the Champagne Celebration Sunset Cruise. Three champagnes and sparkling wines from legendary French champagne producer Mo?t & Chandon are on offer. The Chandon Brut Classic sparkling wine is included in the tour price, and for an additional fee you can upgrade to the Mo?t & Chandon Imperial (White Star) champagne or the Mo?t & Chandon Rose Imperial champagne at wholesale cost. While you sip your champagne, snack on the gourmet cheese buffet, which includes four delectably rich cheeses surrounded by fresh berries and other fruit that have been selected to complement the champagne. The buffet also includes a locally made smoked fish dip served with crunchy crisps and fresh-baked crusty bread from an Old Town Key West bakery. If you'd rather switch out your bubbly for some still wine, simply choose from the complimentary selection of six excellent wines - varieties may include cabernet sauvignon, pinot noir, shiraz, merlot, pinot grigio, chardonnay, sauvignon blanc or riesling. Beer-drinkers will also be at home with domestic and imported beers like Heineken, Corona and Miller Lite. 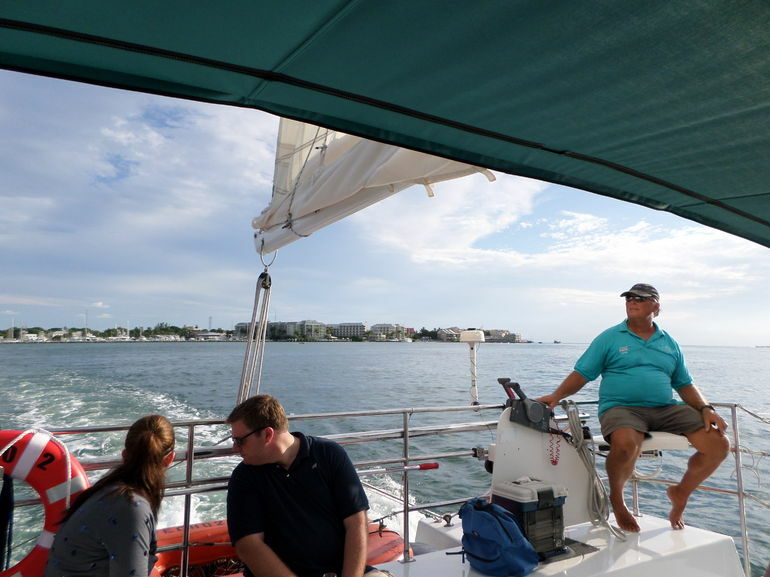 Exclusive seating is limited to 14 people on this 26-passenger sailing catamaran, ensuring you'll have plenty of space to enjoy the fabulous Key West sunset.